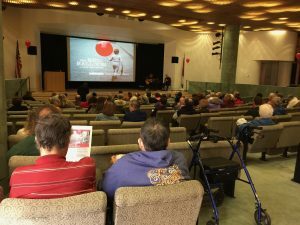 For months, our Kansas City Movies and Memory team has been working on creating a memorable dementia-friendly movie experience and film series. Ron and I were so lucky to partner with the Heart of America Chapter of the Alzheimer’s Association, the Kansas City Public Library, and the Kansas City FilmFest. For our first offering, we wanted a short movie with a splash of fun and a heart-filled message that would engage multi-generations. We wanted live music and free popcorn. We wanted each person to walk away with a souvenir. And we wanted to attract a diverse audience. 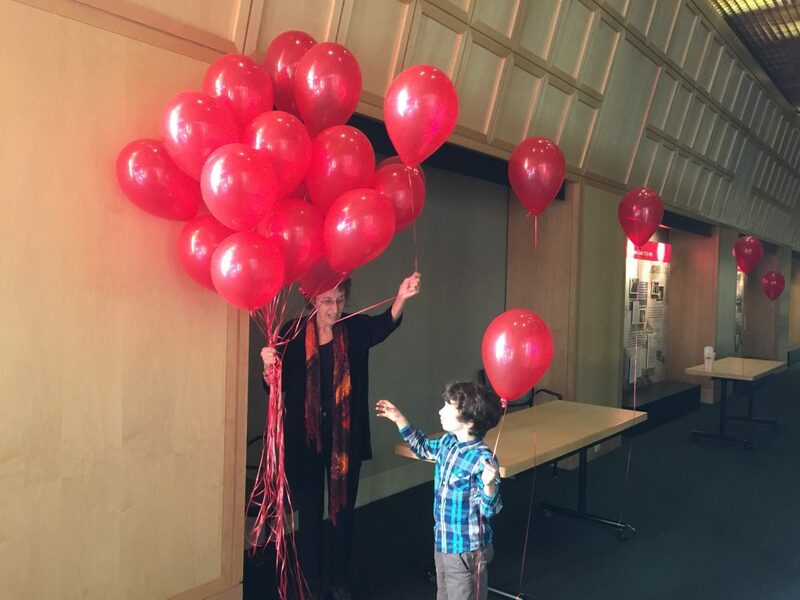 The Red Balloon was a wonderful success. This ageless film, about a boy and his magical balloon, attracted one hundred people, from ages three up through the nineties. 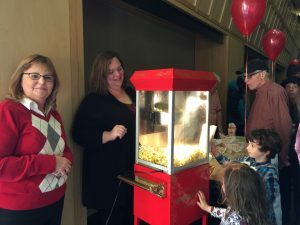 Our audience, little kids and big kids both, clustered around the popcorn machine, watching the aromatic kernels blossom. They listened to Parisian songs by a renowned clarinetist and a guitarist. They learned a little about creating a “memory aware” city. And they laughed, smiled, sat on the edge of their seats, and clapped, all avidly involved in the movie. 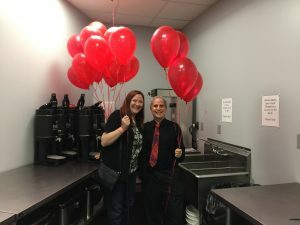 At the end, we walked out holding a huge bouquet of red balloons and each person was excited to take home a lovely reminder of the afternoon. Here’s what we learned: when you’re taking photos of people holding balloons, you don’t even have to ask them to say, “Cheese.” They’re already smiling. You can easily have this movie experience at home. It’s perfect for an intergenerational family gathering, a holiday event, or just a cozy evening at home. Pick a time of day where everyone has good energy. Our event was held at 2:00 in the afternoon. Make sure the technology is organized and everyone can see the screen. Arrange for comfortable seating and minimal distractions. Offer your favorite movie-going indulgences. Freshly popped popcorn is irresistible. Talk about what you’re going to see. At the end, talk about the movie: what you liked, what you didn’t like, and what the movie made you think about. 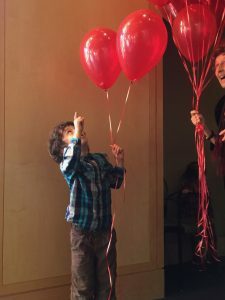 When the movie experience is complete, hand each person a helium-filled red balloon. Even a red balloon filled with hot air will do! The Red Balloon is just one idea. Please tell us about movies or TV shows you have enjoyed watching and share your film-watching tips. This blog was truly wonderful!! GREAT suggestions. Your mom and dad are so proud of you for all the good you do for other people. I am, too.